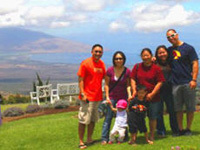 Experience the true flavors of Maui on The Taste of Maui Island Tour. The Maui Island Taste of Maui Tour begins with a scenic drive along the north coast of Maui's Road to Hana, before turning inland to Pineapple Country for a lush green drive up the slopes of Haleakala. Along our route, we venture through the historical sugar cane Plantation Town of Pa'ai with it's characteristic colorful historic buildings along the charming beachfront drive. Next we stop at the most famous Hawaiian windsurfing beach, Ho'okipa where you will have the opportunity to watch world-class windsurfers catch the wind and ride the waves. Here we visit the favorite destination spot for King Kalakaua and his royal party, the Ulupalakua Ranch. This is a working ranch dating back to 1845. There is no location in Hawaii that is comparable to this area of Maui's upcountry with stunning panoramic views of Maui's southern coast and Lanai, Molokini and Kahoolawe. 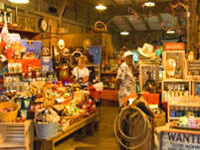 At Ulupalakua Ranch we stop at the Ranch Store to give you a opportunity to browse the colorful isles of locally made fresh Hawaiian products. Selections include jellies and jams made from locally grown papaya, pineapple, mango and guava; coffee, cookies, chocolates and handmade Hawaiian souvenirs and artwork. This is a fantastic location to pickup something uniquely Hawaiian for yourself, your friends and your family. 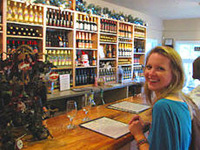 Continuing on from the Ranch Store, you will visit Maui's Winery located in the historical King Kalakaua's Holiday Cottage. 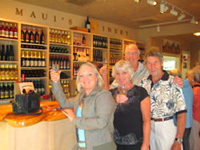 Free samplers are offered and you are invited to try red, white, raspberry and pineapple wines all made from Maui grown fruits and berries. 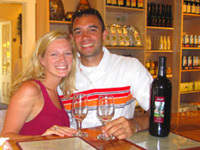 In addition to wine tasting, there is boutique store stocked with an impressive selection of Hawaiian products ranging from tropical spices and seasoning, teas and coffees, unique Hawaiian bath and body products and the best selection of Maui wines. 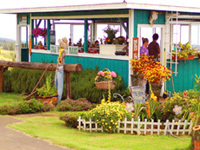 This is a fantastic location to find a taste of Maui to take home from your vacation. 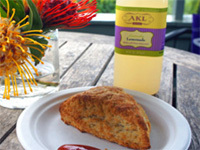 Before leaving the beautiful Ulupalakua Ranch, you will relax and enjoy a fabulous fresh Hawaii lunch of gourmet sandwiches, fresh salad greens, exotic island fruits including sweet pineapple, passion fruit, and mangos. Your lunch will always be of the freshest seasonal locally grown products. Our next stop on the slopes of Haleakala is a 4th generation family farm. The views available from this location are outstanding, allow an amazing birds eye view of rolling hills and vistas below. 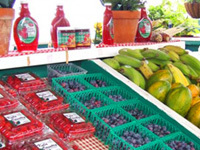 While at the farm, you will visit the farms market stand stocked with fresh picked fruits and vegetables as well as a variety of gourmet products made at the farm. 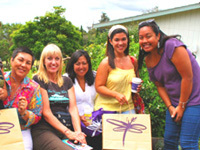 Our final stop on your Taste of Maui tour is a stunning lavender farm. 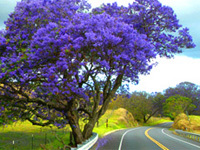 You will enjoy a walking tour of these vibrant purple gardens, learn about lavenders health benefits, sample lavender tea and scones as well as shop for locally made Maui lavender products to take home with you. This highly exclusive tour have limited capacity so please book early to insure your seats on this incredible excursion! We can arrange transfers for those arriving via the Port of LAHAINA. 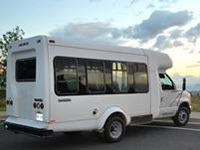 Please note that transfers from Lahaina are not included in the tour price.